It pains me when I see many Nigerians begging others to help them on how to withdraw money from the ATM. Most people don’t even know that you can do alot with your ATM card. 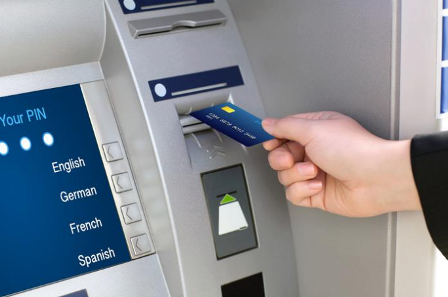 Most customers feel comfortable using their debit cards to withdraw money from the Automated Teller Machine. Some have gone the extra steps of using it to pay for goods and services at the Point of Sale machine. Today, you will learn Seven things your ATM Card can do, which you may not know. With your card, you can visit the ATM, insert the card, and punch in your Personal Identification Number. Select view account balance to know your balance. Modern-day technology has helped interconnect telecommunications with your bank account. Now you can even refill or recharge your prepaid SIM card at your bank’s ATM. Again you will need to punch in your PIN and then follow the commands that appear on the screen till the time you are done refilling your account. However, do take care to remember the amount for which you need the refill. Your service provider should support the amount you key in. You have two different accounts with the same bank or different banks, you can transfer the funds to the account of your choice. For instance, if your salary is paid into a particular bank but you prefer to keep your money in another bank, you can always transfer the funds to your preferred account using your ATM. Go to your bank’s ATM, follow the procedure and transfer funds from the first account to the second account. You can use it to pay into another person’s account. This is one facility that helps you cut through long, serpentine queues. Your ATM card will help you make payments on all these consumer services. Just find the nearest ATM kiosk, be ready with your PIN and you won’t have to spend hours standing in the scorching sun to make your utility bill payments. Mini statements are the shortened version of what your bank sends to you after every three months. That is your bank account statement. The bank can also provide you with a printed passbook detailing all the transactions you have done in a particular month. But if you hate going to your bank because of the long queues and pesky customers surrounding the bank’s teller inquiring about their accounts, your ATM card can be used to give you a mini statement on the go. This statement gives details about the last five to six transactions on your bank account. This is what some conservative bank customers won’t like. For years, they have been visiting their bank branch to meet the genial teller at the counter, deposit their cash or cheque, make some small talk and then go back to do their mundane chores. The ATMs seem to have dispensed with this old-world charm thing as well. In fact, many a time you will find your bank encouraging you to avail yourself of these services using your ATM card. However, those still romancing the old ways of banking and those who think that banking is all about people and relationships can visit their bank’s branch, meet the bankers they know and avail of most of the services mentioned above. This is one facility that spendthrift consumers should take advantage of. If you have enough cash in your bank account, then you can always flash your ATM card to buy and pay through the Point of Sale machine. The transaction process works the same way with your credit card. The only difference being the use of debit card at a merchant’s outlet will make you poorer by the transaction amount immediately. But then, this is always better than using a credit card considering the amount of complaints you may have against your credit card company. Apart from these, you can book your air tickets using your ATM.